When you imagine an island nation or floating city, you probably conjure up images of a peaceful, breathtakingly beautiful paradise where locals lounge around in hammocks, frozen cocktails in hand. But real-life artificial islands and floating communities are far more interesting than that, from rickety abandoned oil industry communities in the middle of the ocean to a fort-turned-floating-hotel fit for a Bond villain. Of course, there’s luxury too, like multi-million dollar oceanic condos that double as tax havens. 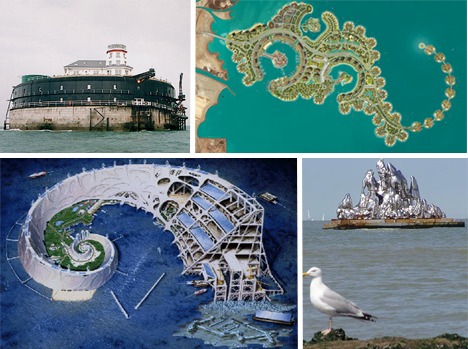 Here are 12 of the world’s most amazing man-made island dwellings.